WE must stand in solidarity with the victims of the wanton killing of Muslims in the two mosques in Christchurch, New Zealand. This is a carnage that defies logic and good sense. The shooting is not just a crime against the innocent people who stood before God in prayers, but also against humanity. There can be no other reaction to this dastardly act, other than condemnation. World leaders, peace lovers and people all across the world are up in arms against the Australian-born 28-year-old terrorist who, in an act of cowardice, shot and killed 49 people while they sat and stood in congregation for the weekly Friday prayers. (See other sections of this newspaper for updates). It does look like there are no safe places for Muslims anywhere. New Zealand had always prided itself as one of the safest countries in the world. With a population of about five million people, Muslims make up only one per cent of the total population. It does look like Muslims are being targeted everywhere. Such prejudices against Muslims are not new, but to purposely enter a place of worship and gun down the congregation cannot be done by a common criminal. It has to be done by a terrorist. While there should be no forgiveness for the terrorist and his accomplices, we are also equally disgusted at the attitude of a senator who issued a press statement following the killing. The senator from Queensland, Australia, saw it fit to take a different twist to the shooting. There cannot be any other interpretation of his remarks, other than the fact that he is masquerading as a senator when in fact he should be seen as a terrorist as well. I’ve written a letter to Senator Fraser Anning here. As long as there are public officers such as this senator, any attempt to make the world understand Islam and Muslims will certainly fail. Some people may even label this senator a white-collar terrorist, if there is such a term! I am writing this letter to you and sharing it with the Malaysian public. I don’t know you from Adam. And after reading your press statement on Friday, I doubt very much I would like to know you at all. I find your language and attitude repulsive. I don’t know how you were made a senator in Australia, but you have certainly brought shame to yourself and the august house you represent. Your statement issued on the killing of innocent Muslims in Christchurch on Friday is a disgrace, to say it politely. You seemed to have developed a myopic and narrow view of Muslims, and Islam, in the process. In your statement, you said that the real cause of bloodshed on Friday was the immigration programme which allowed Muslim fanatics to migrate to New Zealand in the first place. Senator, oh senator! Where have you been? I believe you have been mixing with the wrong company. You need to be more intelligent than that senator. You need to be more enlightened not just on Islam and Muslims, but on other matters such as diplomacy, cultural and religious sensitivities too. In other words, you cannot be that shallow in your understanding of Muslims and Islam, a religion that has preached peace and tolerance for centuries. You went on to say that ‘the entire religion of Islam is simply the violent ideology of a sixth century despot’ masquerading as a religious leader, which justifies endless war against anyone who opposes it and calls for the murder of unbelievers and apostates. If I’m where you are, I would probably take you aside and whisper in your ear that you are making a definite fool of yourself, senator. No doubt you are entitled to your opinion but your utterances reflect an incomplete tutelage on your part as a senator and a sad reflection of your personal education. Do you know what your Prime Minister, Scott Morrison, said of your statement? “Disgusting,” he said. Morrison was being polite too. It will do Anning good to pay heed to this. 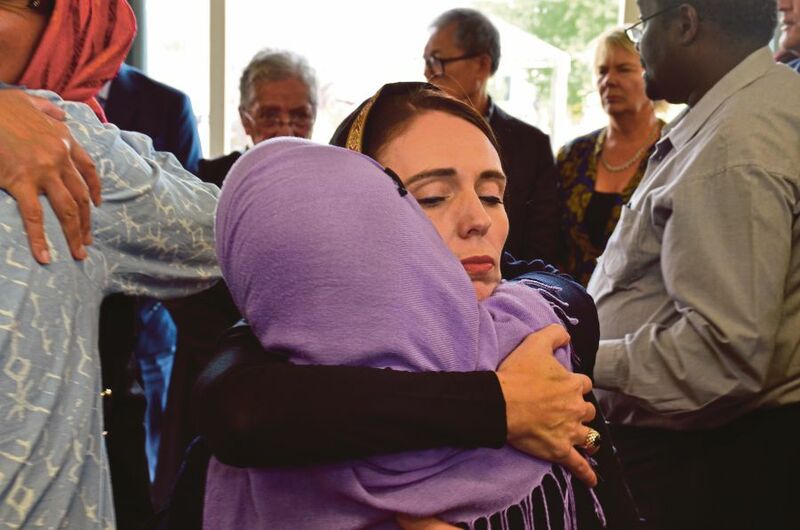 New Zealand Prime Minister Jacinda Ardern, in condemning the terrorist act, said Friday’s killing was her country’s darkest day. Ardern and her government will have to get to the bottom of this act of terror if her claim that New Zealand, a country with a population of about five million, is to remain one of the safest countries on earth. We hope that our Muslim brothers and sisters in New Zealand remain strong and united in their darkest hour. There is strong evidence that non-Muslim New Zealanders are with you in your hour of need.